Unlike ordinary peg winders, the patented Pro-Winder is a high-quality peg winder with a built-in clipper and bridge pin puller. 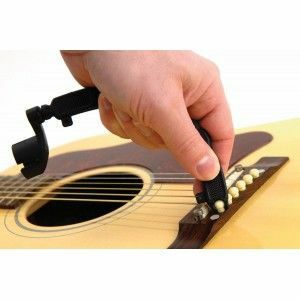 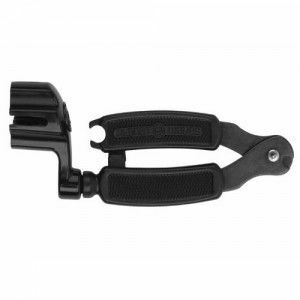 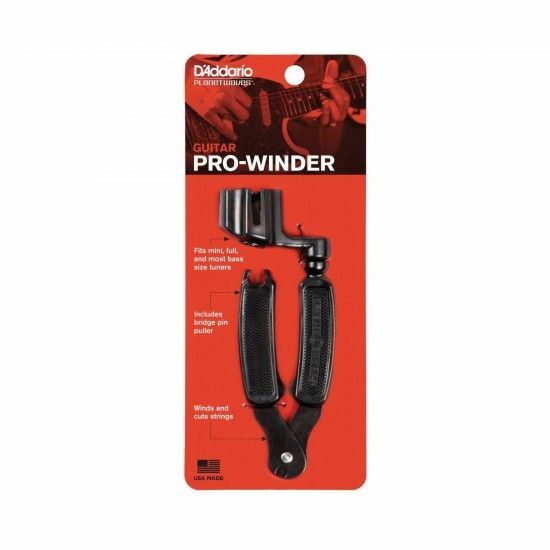 The Pro-Winder is designed to fit virtually all guitars, basses, banjos, and mandolins. 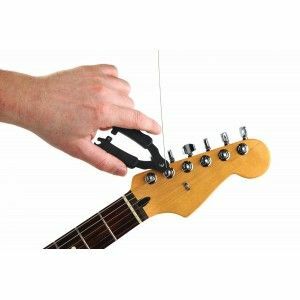 Ergonomically designed with durable hardened steel wire cutters, the Pro-Winder is the ultimate all-in-one restringing tool. 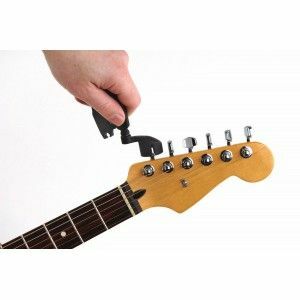 Keep one in every case!